New Delhi, Nov 17 (IANS) The National Investigation Agency (NIA) on Saturday filed a fresh chargesheet against two people for smuggling high-quality fake Indian currency notes (FICN) in 2015. 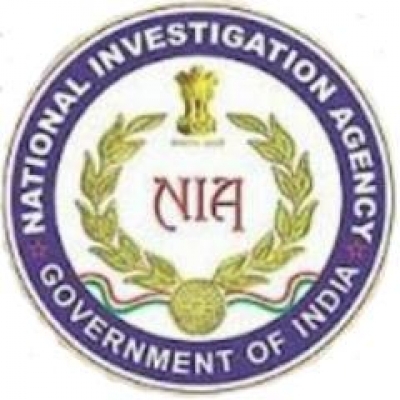 NIA filed the third supplementary chargesheet against Saddam Hossain, 24, a resident of Kamrup district in Assam, and Syed Imran, 27, of Mandya district in Karnataka before the Special Court in Vijayawada. NIA has charged them under Sections 489B (using as genuine, forged or counterfeit currency notes or bank notes), 489C (possession of forged or counterfeit currency notes or bank notes) and 120B (criminal conspiracy) of the Indian Penal Code and various provisions of the Unlawful Activities Prevention Act. The case relates to the seizure of high-quality fake currency notes of face value Rs 5,01,500 by the Directorate of Revenue Intelligence in Vizag from the possession of Saddam Hossain while he was returning from Malda in Guwahati-Bangalore Super-fast Express on September 21, 2015. NIA had earlier filed two chargesheets naming Saddam Hossain, Amirul Hoque, Roustam alias Rustam SK and Mohammed Hakim. The NIA alleged that the accused had hatched a criminal conspiracy with the intention to threaten the monetary stability of the country by procuring and circulating high- quality fake Indian currency notes.